Child-related bicycle accidents tend to be far more severe in the summertime. That’s when more children are out-and-about and parents actually encourage their kids to take on bike riding. Nine out of every 10 bicycle accidents involving children happen during daylight hours and most occur during the spring and summer months. An 11-year-old boy was impaled in the chest by a tree branch while riding his bicycle in Saugus, Mass. He was reportedly riding his bike with an adult family member through “fairly rough terrain” when he struck a branch and flew over the handlebars. He underwent surgery and was in fair condition. A 7-year-old girl in Mashpee suffered life-threatening injuries in a bicycle accident when she was struck by a car while she was crossing the road on her bicycle. Authorities told CBS Local Boston that she was crossing the intersection of Route 130 and Juniper Road when a eastbound vehicle struck her. The girl was in critical condition at Mass. General Hospital as of this writing. A 14-year-old Billerica boy was seriously injured as he crossed Boston Road in the crosswalk on a recent Thursday afternoon. The boy reportedly suffered serious injuries when he was struck on his bike by a 35-year-old woman driving northbound. As of yet, no charges have been filed. Although only accounting for 1 percent of all commuters in the U.S., bicyclists face a greatly disproportionate risk of injury and death when traveling on the road. According to the U.S. Centers for Disease Control and Prevention (CDC), more than 900 bicyclists were killed in 2013 and nearly 500,000 required treatment at a local hospital emergency room. Collectively, fatal and non-fatal bicycle accidents result in a lifetime of medical costs and productively losses that tip the scales of $10 billion. Although adults are more likely to suffer a fatal bicycle accident than children, kids and young adults face a greater likelihood of non-fatal injuries. Children between the ages of 5 to 14 years and young adults between the ages of 15 and 24 account for one-third of all bicycle-related injuries in the U.S. Male children – and males overall – are more likely to be injured or killed on a bicycle than their female counterparts. Most of the fatal bicycle accidents involving children happen in urban areas and non-intersection locations. Requiring kids to wear bicycle helmets. It won’t make your child crash-proof, but a properly-fitted helmet can help to prevent serious injury to the face and brain. Passing bicycle helmet laws for children. It’s been proven that states that mandate bicycle helmets for children see a lower number of child fatalities and injuries stemming from bicycle accidents. Teaching motorists to watch out – and instructing youth on how to safely navigate roads. 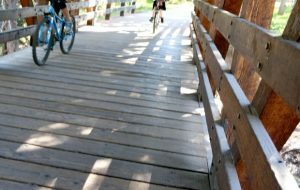 Our Boston bicycle accident lawyers want to make sure children have a happy – and safe – summer. Bicycling can be an enjoyable part of that, but steps should be taken to minimize the risk.